Pluripotency is the capacity of a single cell to form all cell lineages. In the mammalian embryo, pluripotency is a transient property that disappears as cells sequentially specialise into differentiated tissues or soma. However, a small number of primordial germ cells (PGCs) are set-aside in early development and are the founder cells of the germline, ultimately giving rise to the gametes. Despite the overt specialisation displayed by sperm and egg, it is through the germline that a new embryo containing pluripotent cells is produced in the next generation. Furthermore, PGCs are the cells of origin of testicular teratocarcinoma and when placed in culture, in the presence of certain cytokines, they can efficiently undergo conversion to pluripotent stem cells. Therefore competence for pluripotency appears to persist throughout the germline cycle. Our lab studies the germline cycle in vivo in mammalian embryos, and also in vitro using primary culture systems and pluripotent stem cell models. 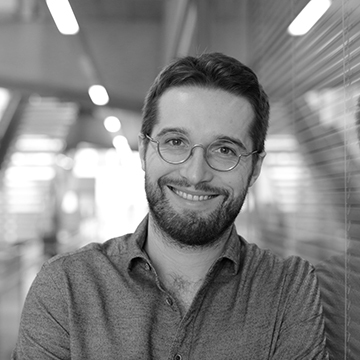 By studying how pluripotency is regulated both in vivo and in vitro we seek to answer basic questions about the regulation of cell fate and potency. We are also interested in how germ cell development is co-ordinated with the major germline epigenetic reprogramming events. By studying basic questions in stem cell biology, developmental biology, epigenetics and reproduction we hope to inform the treatment of human infertility, such as by in vitro gametogenesis approaches, and more broadly impact the field of regenerative medicine. Zhang M, Leitch HG, Tang WWC, Festuccia N, Hall-Ponsele E, Nichols J, Surani MA, Smith A, Chambers I. (2018). Esrrb Complementation Rescues Development of Nanog-Null Germ Cells. Cell Reports 22(2), 332-339. Leitch HG, Hajkova P. (2018). Eggs sense high-fat diet. Nature Genetics, 50(3), 318-319. Leitch HG, Surani MA, Hajkova P. (2016). DNA (De)Methylation: The passive route to naivety?, Trends in Genetics 32(10), 592-5. De Los Angeles A, Ferrari F, Xi R, Fujiwara Y, Benvenisty N, Deng H, Hochedlinger K, Jaenisch R, Lee S, Leitch HG, Lensch MW, Lujan E, Pei D, Rossant J, Wernig M, Park PJ, Daley GQ. (2015). Hallmarks of Pluripotency. Nature 525(7570), 469-78. Leitch HG, Okamura D, Durcova-Hills G, Stewart CL, Gardner RL, Matsui Y, Papaioannou VE.(2014). On the fate of primordial germ cells injected into early mouse embryos. Developmental Biology 385(2), 155-9. Leitch HG, Nichols J, Humphreys P, Mulas C, Martello G, Lee C, Jones K, Surani MA, Smith A. (2013). Rebuilding pluripotency from primordial germ cells. Stem Cell Reports 1(1), 66-78. Leitch HG, Smith A. (2013). 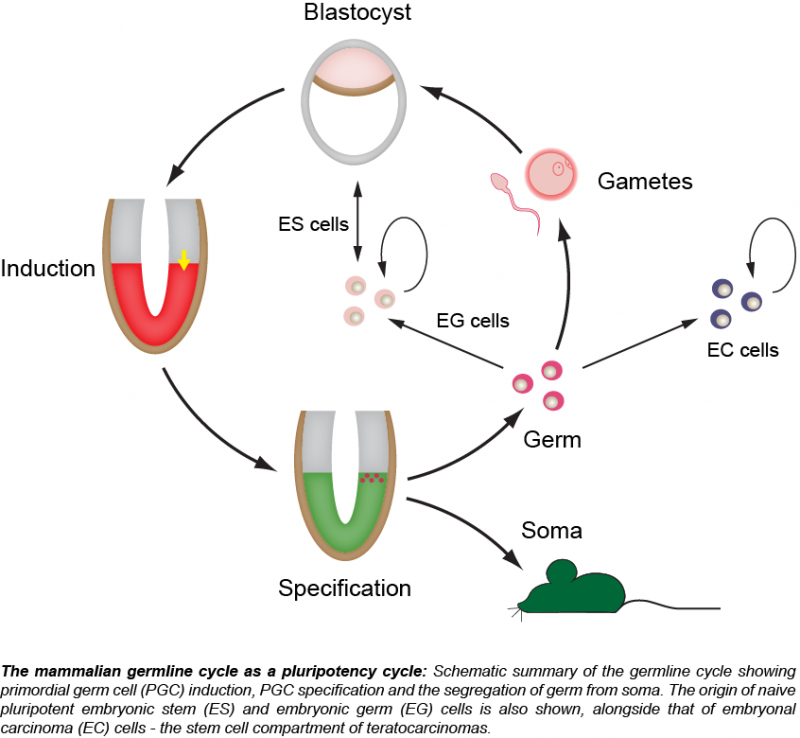 The mammalian germline as a pluripotency cycle. Development 140(12), 2495-501. Bao S, Leitch HG, Gillich A, Nichols J, Tang F, Kim S, Lee C, Zwaka T, Li X, Surani MA. (2012). The germ cell determinant Blimp1 is not required for derivation of pluripotent stem cells. Cell Stem Cell 11(1), 110-7. Leitch HG, Tang WW, Surani MA. (2013). Primordial germ cell development and epigenetic reprogramming in mammals. Current Topics in Developmental Biology 104, 149-187. Leitch HG, Blair K, Mansfield W, Ayetey H, Humphreys P, Nichols J, Surani MA, Smith A. (2010). Embryonic germ cells from mice and rats exhibit properties consistent with a generic pluripotent ground state. Development 137(14), 2279-87.